Transform natural lashes into lush, beautiful, longer lashes that look stunning. Infinity Sun spray systems provide the fastest and most consistent spray tan applications available. The noninvasive, preferred hair removal treatment of the stars. Welcome to Lashionista’s Beauty Lounge! 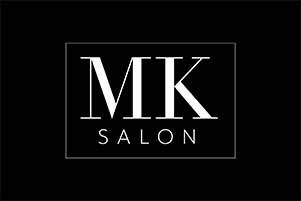 Your go-to for all things beauty (except hair), we value and ADORE our clients/friends and are always looking to serve you with the latest and greatest techniques… always looking to grow and learn as much about this fun and fabulous industry as possible! Never resting until we have found the best and most exciting new products and services available! We promise to search the worlds corners to find unique items that you WILL NOT find anywhere else in the area! We also guarantee satisfaction… if it’s not met, we will remedy any issues you may have in a prompt manner. We are professionally trained and state licensed. She is AMAZING! I wouldn't trust my eyes with anyone else!!! Been going to Melissa and her girls for about 2 years! Wouldn't go anywhere else! Mel does amazing work! My lashes are perfect every time! Lashionista's is Wisconsin's first and only Novalash Advanced certified technician. Please let us know how we can help.